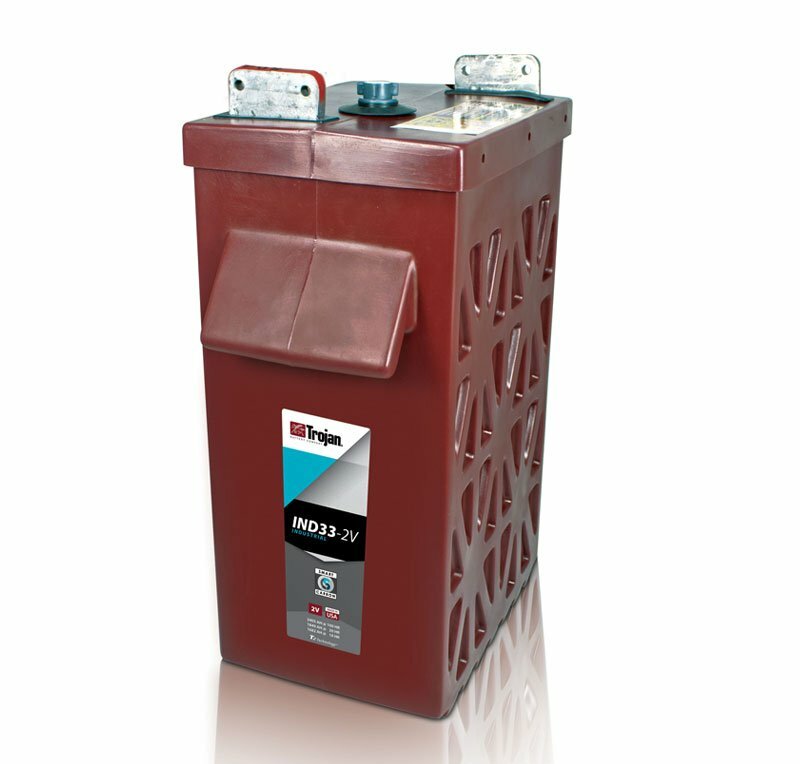 The Industrial Line is engineered specifically to support renewable energy systems with large daily loads where the batteries are cycled regularly. 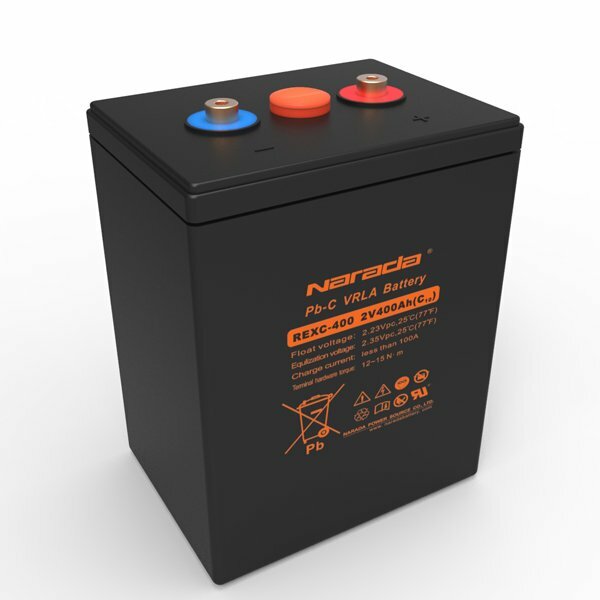 These high amp-hour capacity batteries are ideal for use in large off-grid photovoltaic (PV) systems, off-grid hybrid PV systems, grid-tied PV systems with battery backup, smart grid peak shifting systems and a variety of other applications. The Industrial Line is tested to IEC stardards and features advanced battery technologies that deliver reliable power. Trojan’s Industrial Line is the perfect combination of performance and function. 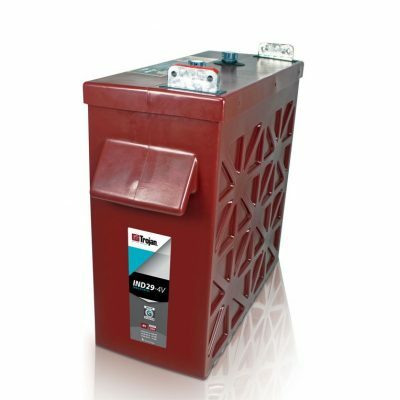 Trojan’s Industrial Line of deep-cycle batteries is comprised of one, two or three single 2-volt cells, standalone or bundled together, secured in a secondary containment case to form single, high-capacity 2-volt, 4-volt or 6-volt battery solutions. Components of the individual cells are assembled in a rugged polypropylene housing designed to protect the internal plates from potential damage that may be caused during transport and installation. 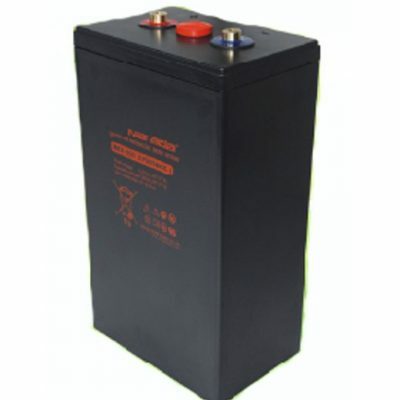 The 2-volt cells are enclosed in a larger polyethylene outer case that protects against damage caused by harsh environmental conditions such as moisture and dirt buildup, as well as safeguards against potential acid leaks. For added protection the thick-walled case features a lattice-design that reinforces the outer case’s structural integrity. the case design are dual handles that enable easy movement during transport and installation.